Purple is delighted to be the preferred providers for Oxfordshire County Council’s Direct Payment holders. We are a disability organisation with over 15 years’ experience of providing direct payment support services, and who understand the importance of you having choice, control and independence over your life and the decisions about your care and support. Purple is about disability. Direct Payments is one part of your life and we provide a range of activities and support which put you at the heart of decisions. From the personal experiences of our staff we know the importance of getting things right first time, and when you need it. When you start working with Purple, you will speak to someone who will listen to you (and your family) and who is focused on your needs, at a time and in a way that works for you – face to face, phone, email or through digital technology. Your named co-ordinator is experienced and fully trained in providing you with the best possible advice and supporting you to make the choices and decisions that are right for you on an ongoing basis. We will make sure your service is straightforward and hassle-free, making things as easy as possible. We will be available outside of usual office hours and will always try to be as flexible as possible to meet your needs. Our service includes password access for you to view your direct payment account via the internet 24/7 and our staff can help you with setup and support. 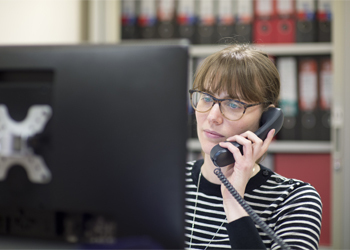 Our payment team are just a phone call away and are happy to help resolve any queries you may have. Purple understand it is important you retain control of your direct payment, and have the necessary information to manage your outgoings. Your personal co-ordinator will support you to pay your PAs – whether employed directly or via agencies. Template timesheet to complete and send to Purple. A guide to completing your timesheet. A form to be completed to register your PA with Purple. A government form required to be completed as an employer. A government form required to be completed to authorise Purple to exchange and disclose information about you with HM Revenue and Customs.